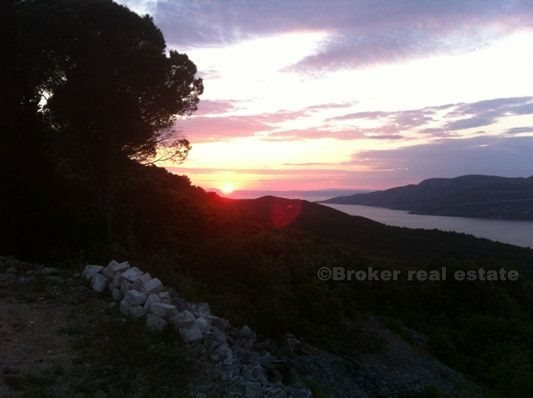 Heaven on Earth, remote farm 4 km from the sea, five minutes drive from the town of Korcula, in an isolated place, first place is 300 meters. It consists of arable land of olive groves, citrus fruits, fruit trees, vines and part forest. All surrounded by stone fences, prefabricated house character of 53 m2, legalized and two buildings on the ground, stone houses, one of 21 m2 and 16 m2, which are duly registered in the cadastre and have the option of regular updates. 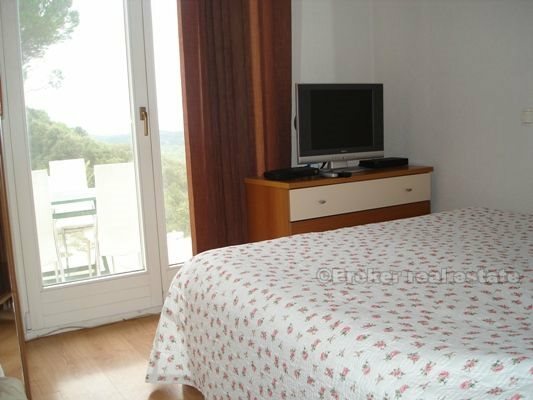 The house has electricity, high-quality solar, telephone, internet and city water, water tank. Pets extra demountable facilities such as swimming pool, loggia. 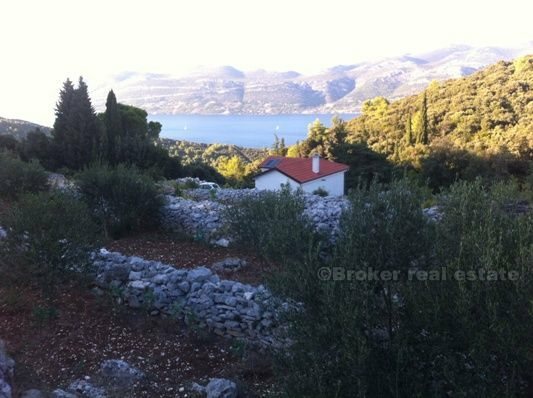 It has beautiful views of the sea, Peljesac channel and Hvar.